We've had a few weeks with limited activity from a Munster point of view, but with a huge PRO14 game tomorrow against Zebre and a Champions Cup quarter-final in Murrayfield next weekend, the action won't be long ramping up. After the disappointment of the Six Nations, guys will be thankful to get back to their provinces, hit the reset button and switch their focus to a different competition. A fresh start is always welcome after a tough few weeks, so in a lot of ways it's no harm that the Six Nations is over. As a player, it's always good to see everyone again and provincial enthusiasm is always nice to log in to. When things aren't going well with Ireland it can be good to come back to your club. Guys will use it as a means to put any disappointments to one side and to start with a clean slate. 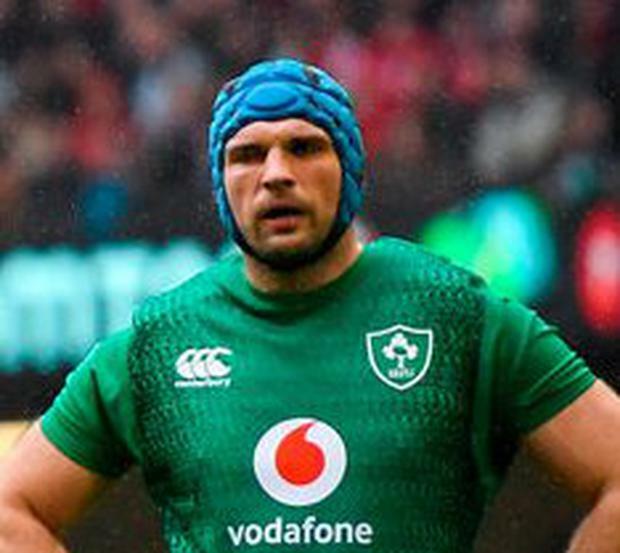 We've all been dissecting the recent Six Nations in search of a cause for the malaise, but you'd have to think last year must have taken a large toll on the players. A lot of them came off the Lions Tour to New Zealand, went straight into a long, hard season where they won a Grand Slam. Leinster players won the Pro14 and the Champions Cup. Then Ireland went down to Australia and won a series there, started this season in Europe then beat the All Blacks in November. The toll of all that must have weighted heavily on them, especially from an emotional point of view. These guys aren't robots, you can't sustain those peaks on a consistent basis. It's all great when you're winning games, but you have to learn to win games as the fancied team, and you have to learn how to cope with losing games too! I remember that Heineken Cup semi-final in 2009 against Leinster, and it was very different compared to that 2006 game against them. There were two very different emotional states at play in those games. In '06, we had more desire and were on a mission to win, and on the back of us winning it twice, Leinster had that drive in '09. I felt a bit of that was in play at the weekend. Hopefully, we'll see that materialise in the club game too where Munster have a massive desire to win and match Leinster's recent success. Disruption Joey Carbery's injury was one that had a real disruption on the Ireland camp, and it threatens to cause a few headaches for Munster too if he cannot regain his fitness ahead of next weekend. Tyler Bleyendaal has struggled to recover his top form since he came back - he only has one start in the No 10 shirt this season - and when he did start Rory Scannell was handed the kicking duties that day. Bill Johnston is still a bit inexperienced for this big occasion, so JJ Hanrahan is probably the man in pole position. A big showing from him tomorrow - if he starts - should see him at the tiller against Edinburgh. The fact that there is one game left before the Champions Cup puts huge importance on this game, but from a PRO14 point of view, it's a vital match in its own right. But a home game against Zebre has to be regarded as a chance to pick up a bonus-point win. Zebre have only won three of their 17 games so far this season and the last of those wins came in October in Round 7. With Munster three points behind Glasgow now, every point has to be claimed if they're to be in position to pounce on any slip-ups from the Scots. I will be watching out for this afternoon's team announcement and I'd love to see the likes of Andrew Conway, John Ryan, Tadhg Beirne, Chris Farrell and CJ Stander all involved. Some of them were involved in Wales, but they also haven't played a huge amount of rugby in recent weeks. Maybe it was just me, but when you go away with a different team there is a lot of emphasis on learning new calls for similar plays and when you go back to your province it can be tough to remember which is which. It happens the whole time and the slagging is fierce if you come back to Munster and call an Irish call. The point is it takes some time to settle back in and with such a big game just around the corner, it needs to be fast-tracked. Even taking a split second extra can disrupt everything. It's important to win tomorrow against Zebre, but it's even more important to get everyone back up to speed.